Welcome to the latest addition to piezloves. 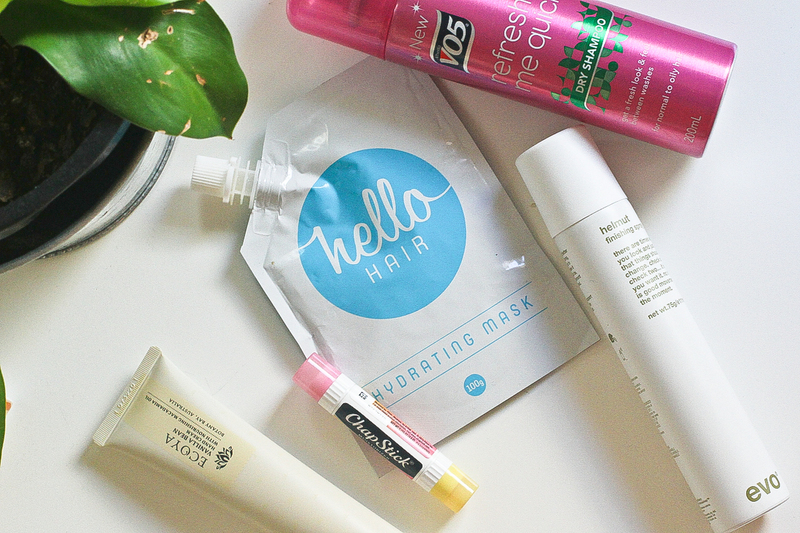 Top 5 Beauty Buys (April Edition). I’m hoping to have 5 recommended products up every month for you lovely people to benefit from. I know that when I read about “recommended” beauty products in magazines I always want to know, BUT is it REALLY good? Or are you just saying that because you’re getting paid or endorsed to? I, Kelly Piez, solemnly swear to be truthful in all posts outlining the best features of all products I get to try. Hopefully I can be a good reliable source for your current beauty trends. Okies, here goes – in no particular order. 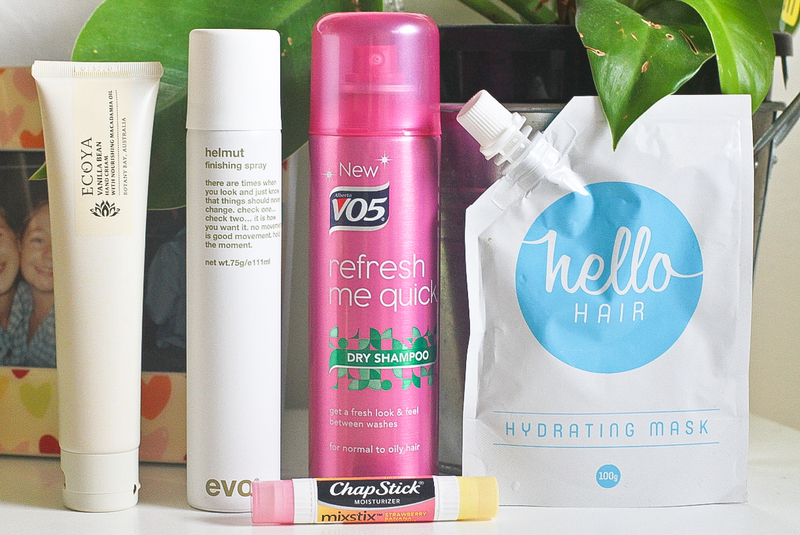 Firstly, I am a pretty low maintenance kind of gal when it comes to hair. Dare I admit it, but I haven’t had a hair cut since August last year. HOWEVER, despite this, I know a good hairspray when I come across one. Nothing peeves me off more than when you’ve made that extra special effort with your hair and it doesn’t hold in place. 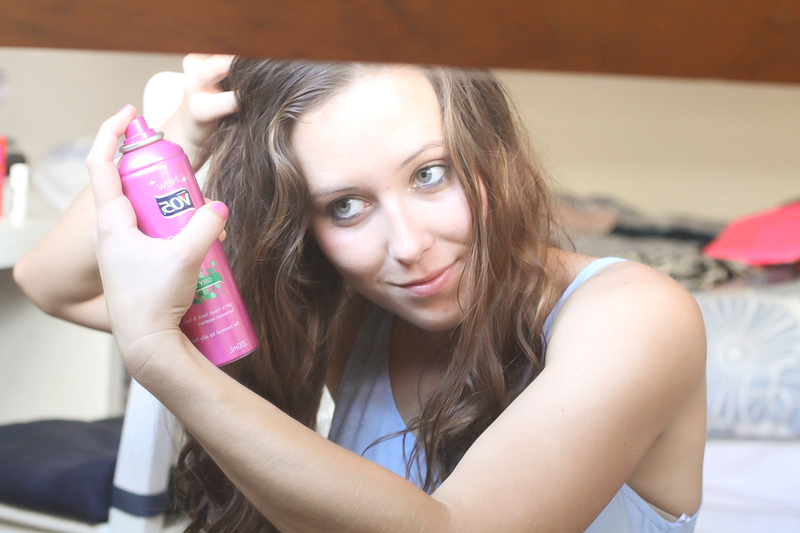 This hairspray does a fabulous job at holding everything together. She’s a little beauty AND exceptionally affordable. I’ve had this product for a while now but it took a bit of time to see a difference to my hair. It definitely hydrates your hair, however, you need to take extra care when washing it out. It takes a few shampoos to get out unless you’re partial to the wet hair look. It’s a great product and you could get about 2-3 treatments out of each packet. It must be the autumn winds on the coast at the moment, but my lips are DRY! I haven’t gone anywhere without my trusty Chap Stick by my side. I just LOVE that they have this new range of the double end. I’ve been using the Strawberry Banana Smoothie stick, however there’s an endless range on their website. To die for! I’m a bit of a hand cream junkie and this one satisfies in all the right ways! Can’t rave enough about this product. It’s actually a decent consistency – not one of this thin, watery creams. And the smell is just amazing. I am using the Vanilla Bean scent, however, they have a great range of amazing scents. Just goes to show, they aren’t all candles! In the past, I have found it really difficult to find a good dry shampoo. They either don’t work or they last about 2 days before the bottle is empty. I don’t use a lot either, just the top on the roots for those lazy days when there’s no time to do a full wash. This one in particular lasts a good amount of time, it’s pretty affordable and I love the smell (irrelavent to performance I know, but makes for a nicer experience in the mornings). I hope you guys have enjoyed my first beauty post. I will be doing a lot more in the future and definitely accept recommendations and feedback so please let me know your thoughts. Be blessed and be beautiful. Love the pink nails – would love to hear about them.